I am so lucky that our house has two pantries! 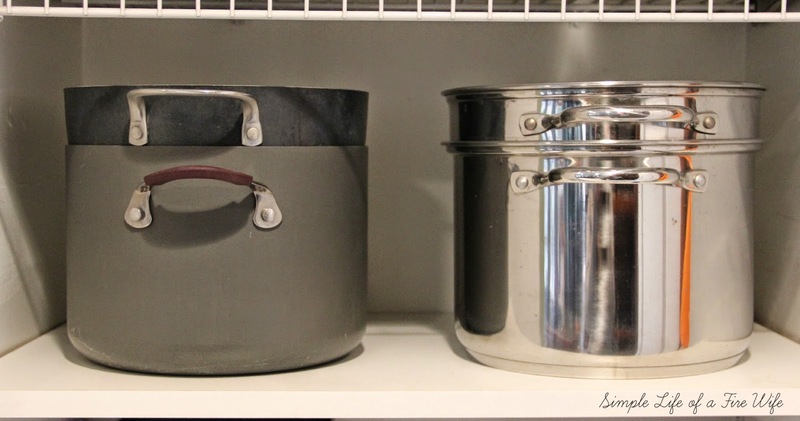 One for food and a smaller one that I use to store all of my cookware (you can see how I organize my food pantry here). I spent many years battling lower cabinets and trying to fit everything in them just right. And then when I wanted to get something out, it was a whole new battle! I am so grateful for this space in my house! I must say that two of my favorite organizers ever are in this pantry. The skillet and lid holders are amazing!! You NEED them if you don't already have them :) You can find them almost anywhere and they are usually only a few dollars, but make such a HUGE difference! Here's another look at the whole thing. The right side is just where I hang aprons. So there you have it. I absolutely love having this pantry and can never have another house without one! 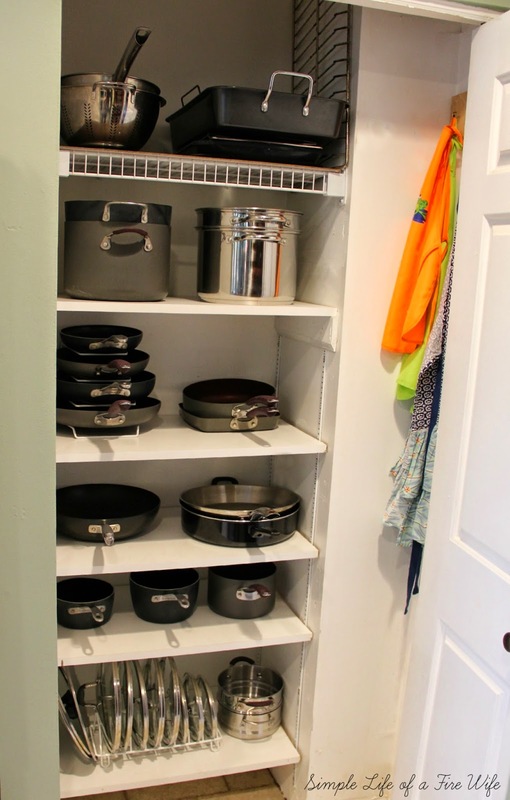 Do you have a good spot to keep all of your cookware, or have you found a good solution for those dreaded lower cabinets?! I would love to see how you keep everything organized! Thanks for stopping by today! Thanks! I must say, we have been in this house for 2 years now, and I still am so happy every time I open this door and am not battling pulling things out from the lower cabinets. It was a horrible set up at our old house! Oh I so need a cupboard like that and your cookware is fabulous too. Thanks tons for linking to Inspire Me. Oh, I love this storage. 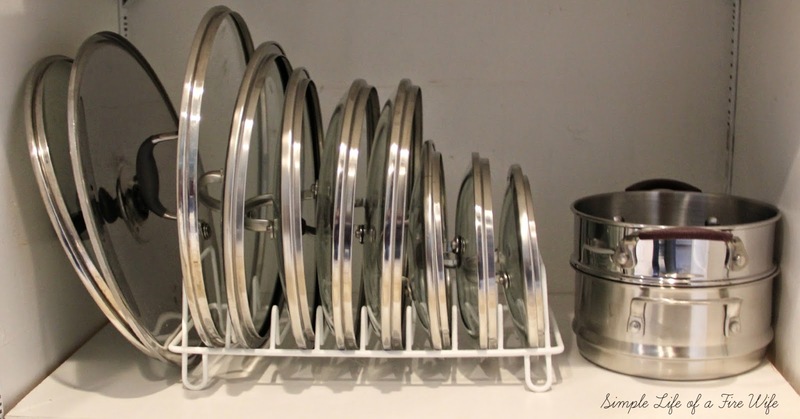 Great way to store the pots and pans! Two pantries? I am so jealous. Great job! 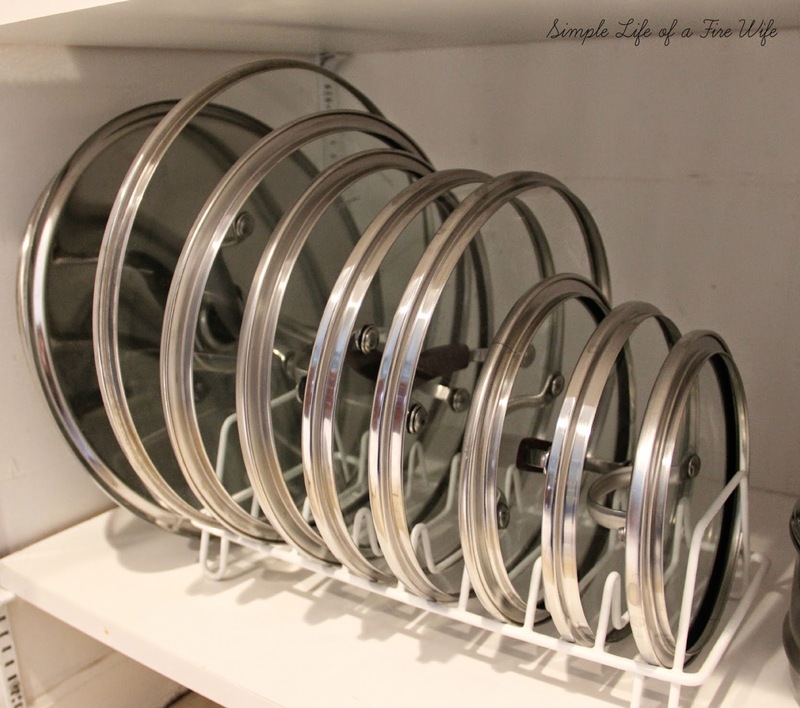 Where did you find the pan and lid organizers? Are they magazine holders or were they in a kitchen section? Hi Jenny! They are actually in the kitchen section. I have seen them at discount shops like Target, Walmart, KMart and also at The Container Store. They help so much! That looks amazing! It's the small things that make such a big difference right?! Okay, now I need the pan and lid organizers! Thanks for sharing. Thank you for sharing this. I have an old house but a great pantry with fixed wooden shelves. I hope I can restructure the shelving so I can add this to one end. I hope I can find that pots & pans lid organizer. Thanks so much for sharing. WOW! lovely like this post.its really amazing .Thanks for sharing this!Nice cooking utensil range with smart quality, and therefore the promotion appearance thus attractive. Are those pans from costco Kirkland signature? Very tasteful menu you share with us and I hope every people are like this Chocolate Cheesecake food. I have lot weakness about this and I eat these regularly. Good tips to decorate the cookware and I hope every cooker are like this. This is looked so nice if we keep our cooking tools in a fixed place in the self. It help us to get the pot in a short time. So I think we need to use this self in our kitchen. I usually use stainless steel and nonstick both types of cookware. I use stainless steel cookware that is made of aluminum and copper combination in the base. 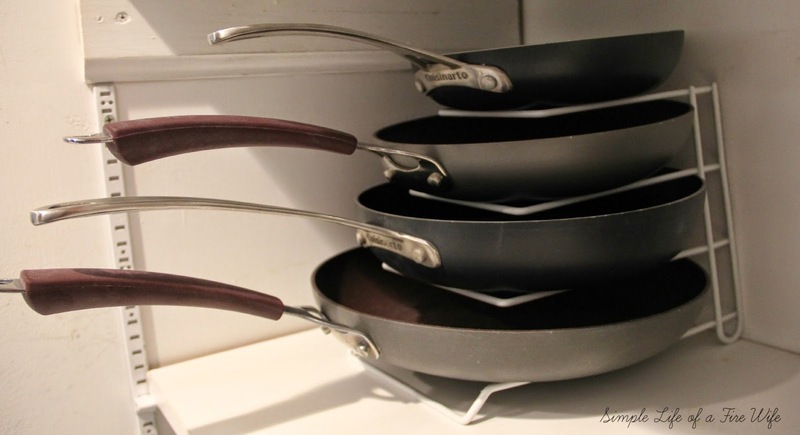 Because it distributes heat evenly throughout the cookware pots and pans. Copper keeps the cookware looking new every time I use the cookware. Great sharing. 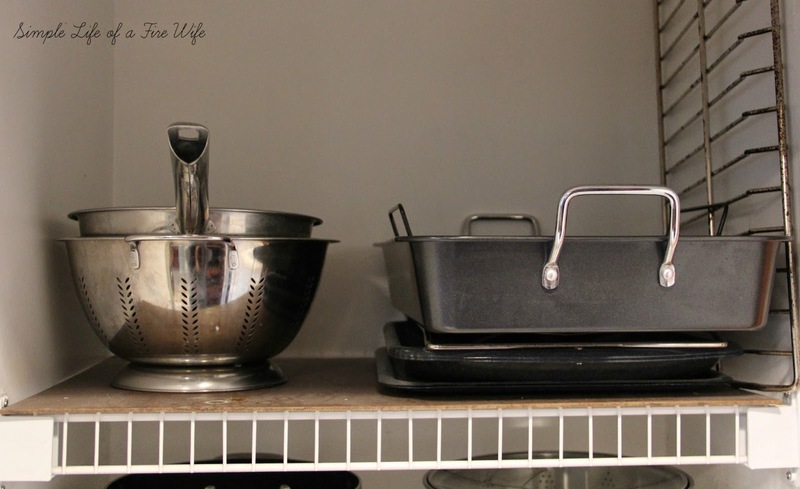 I always love to use stainless steel and cast iron cookware in my kitchen. They are healthy, easy to clean and perfect for any kind dishes.